Copyright Eva-Lotta Jansson 2017. All rights reserved. Now that my elephant book is finished – and it’s making its way into the online bookshops – I think it’s time I started a blog. Writing blogs to highlight an issue is something I do for my clients as a social media consultant, as it’s a great way to tell stories. So it’s about time that I also write a blog for myself and the elephants. Stay tuned! I’d love to connect with you here about elephants and conservation. (And please come the Creative Experiences FB page, to discuss some more.) From time to time, I’ll also share with you what I think are good practices when it comes to communication online about these sometimes sensitive and political issues – if our aim is to serve the greater good. My new book, “On the Road to Elephants” is a photography book with a written essay. Although it’s not really a ‘normal’ wildlife book. It’s a book about elephants, and more. 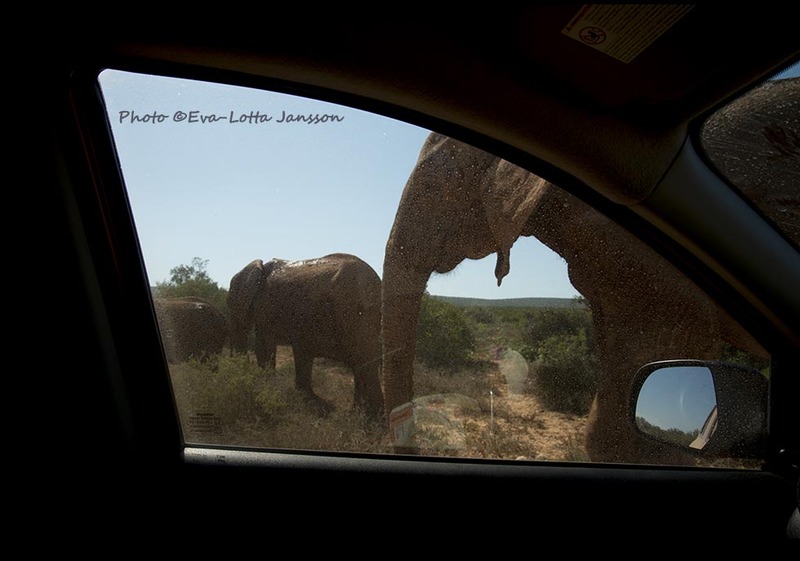 I explore, with my camera, how elephants live in modern day (South) Africa. It’s a mixture of photo book, personal travel experiences and informal guide book. Beyond fun pictures and travel anecdotes, it’s also a more serious journalistic document about South Africa, and an exploration into our relationship, as humans, with elephants, both today, and throughout our past. Elephants are a keystone species in Africa, which means that the rest of the ecosystem, including other wildlife, depend on their survival. The issues affecting elephant populations vary from region to region. That’s why I focus on South Africa, on its own, and in context of what’s happening on the continent.